The EU Council President has urged economic migrants everywhere to think twice and not “risk for nothing” taking a dangerous trip to Europe. He also condemned some EU states’ unilateral and discordant efforts to curb the influx of refugees. “I want to appeal to all potential illegal economic migrants wherever you are from: Do not come to Europe. Do not believe the smugglers. Do not risk your lives and your money. It is all for nothing,” Tusk said during his meeting with Greek Prime Minister Alexis Tsipras. At the same time the EU Council President condemned unilateral steps taken by some EU states aimed at limiting the influx of migrants and refugees. “We must build a European consensus based on our joined decisions and rules. We must avoid divisions among us if they do not bring us any closer to a solution, but only erode trust. Unilateral decisions without prior coordination, however understandable they are in a national context are, in fact, detrimental to the European spirit of solidarity,” Tusk said. “We have to avoid an illusion that, instead of the full respect for Schengen rules, there might be another easy and convenient European solution,” he added. 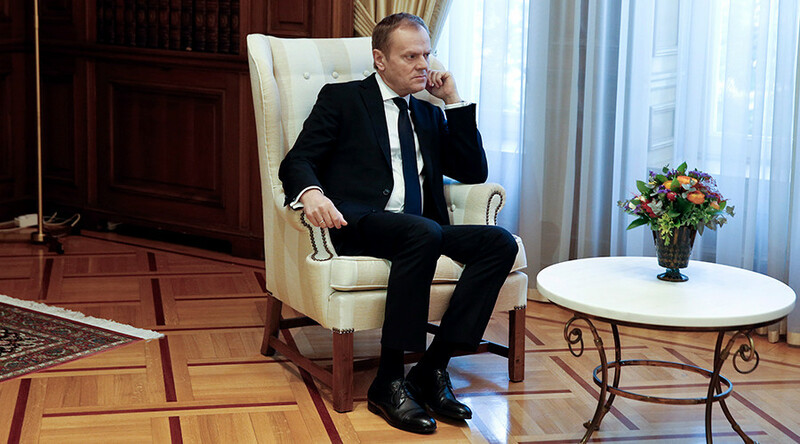 Tusk also told Tsipras that Greece would be excluded neither from the Schengen zone nor from the EU. “Excluding Greece from Schengen is neither an end nor a means in this crisis. Greece is part of Schengen, of the Euro area and of the European Union and will remain so,” Tusk said. Later on Thursday the European Council President visited Turkey where he discussed migration issues with Turkey’s Prime Minister Ahmet Davutoglu. Tusk stressed that the main EU goal is not just to weaken the flow of migrants and refugees, but to eliminate it. “It’s not about numbers it’s about the ongoing and permanent process ... which means for me, the total reduction and the total elimination of this sad phenomenon,” Tusk said as cited by Reuters. He added that sending migrants back from Europe would break the business model of smugglers arranging sea crossings for asylum seekers. Both Greece and Turkey are deeply concerned that the EU actions will leave them alone facing the migration crisis. “At Monday’s summit, Greece will demand that burden sharing be equitable among all countries in the bloc, and sanctions for those that do not,” Tsipras said after his meeting with Tusk. “We will not allow Greece or any other country to be turned into a warehouse of souls,” he added. Ahmet Davutoglu echoed his Greek counterpart saying that Turkey and Greece cannot be expected to shoulder the burden of the migration crisis alone, according to Reuters. 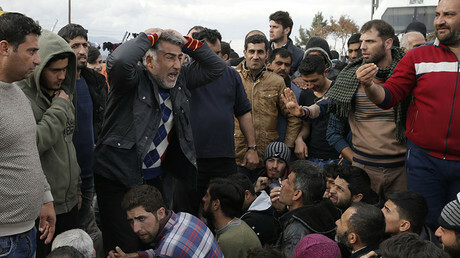 He also expressed his hope that the influx will lessen if the ceasefire in Syria holds. Last year more than a million migrants and refugees arrived in Europe to seek asylum. For the vast majority of them Greece was the first European country on their route to richer northern and western European countries. More than 130,000 asylum seekers have already arrived in Europe in 2016, according to UN estimates. 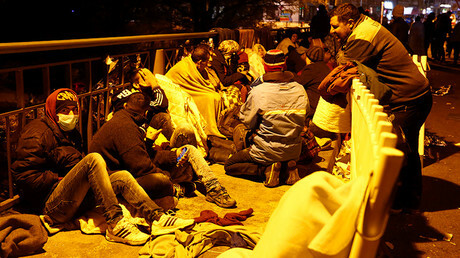 Some European countries such as Austria and Macedonia implemented restrictive measures on their borders aimed at decreasing the number of arriving migrants and refugees. These measures, however, raised concerns of other countries of the so-called “Balkan route” that they would be left to deal with the crisis alone. Greece has already suffered from this approach as thousands of asylum seekers remain stuck on the border with its northern neighbor Macedonia.